To quote Billy Joel “I think music in itself is healing. It’s an explosive expression of humanity. It’s something we are all touched by. No matter what culture we’re from, everyone loves music.” I definitely agree with this assessment and most of you who regularly read this blog know that my love for music runs deep, so I’m sharing another batch of random but nteresting Rock Music Facts with you today. 1. Axl Rose used to earn $8 an hour for smoking cigarettes for a science experiment at UCLA. 2. Ten out of the fourteen songs which comprise the Beatles first album “Please Please me” were recorded in little over twelve hours. 3. The rock band Foreigner came up with the idea for their name at the suggestion of Mick Jones. This was because half of the band was English while the other half was American. 4. Prior to April 1966, David Bowie had recorded under the name of Davy Jones and The Lower Third. 5. Janis Joplin left $1500 in her will for a funeral party. It was held at The Lion’s Share in San Anselmo, California, on October 26, 1971. The Grateful Dead performed. 6. Deep Purple was originally signed to the Tetragrammaton label, a US-based company owned by comedian Bill Cosby. 7. Sid Vicious died from an overdose of heroin that was bought for him by his mother, who was present when he injected it. 8. In 1976 Bruce Springsteen was ejected by security guards at Elvis Presley’s Graceland home after climbing over the wall to get inside to meet Elvis. 9. ‘Bohemian Rhapsody’ by Queen which contains the famous “mamma mia, mamma mia, mamma mia let me go” line, was knocked off the No.1 position on the UK chart by Abba’s ‘Mamma Mia'(January 1976). 10. While he was in grade school, Chuck Berry went out with a girl who was studying to be a nurse. According to Berry, the girl tricked him into being circumcised. Well, there you have it, 10 Random and Interesting Rock Music Facts. Hope you have learned something you did not know. If you’ve found something interesting, feel free to share this article with your friends on Facebook and Twitter. Sharing is caring after all. 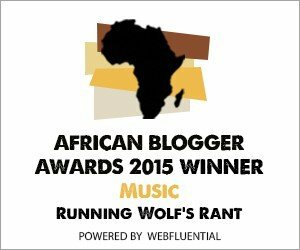 Watch this space for regular updates in the Facts and Music categories on Running Wolf’s Rant.